Please refer to the fitness schedule for current class times/days. 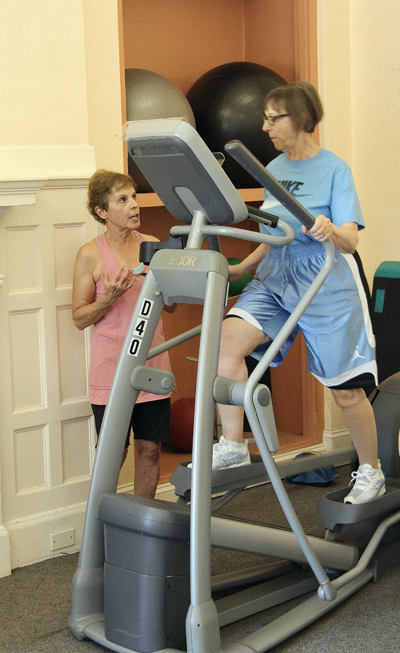 Cardio activities in a gym setting for Active Older Adults to increase endurance, strength and flexibility. Using resistance machines in the first-floor Fitness Room, this class for Active Older Adults builds strength while improving balance and flexibility. Gentle, spacious movements and breath work to increase circulation, opening the body and release the mind. Begin with postures close to the ground and build up to slower standing sequences for strength and grace. Longer held restorative poses at the end of class will offer a deeper level of relaxation to promote healing and nourishment. Gentle Yoga provides the space to calm the mind, deepen the breath, and nourish the body while you transition through poses. Beneficial for all levels. Warm and lengthen muscles using ballet based forms in this gently paced class. Perfect for those Active Older Adults looking for a relaxing and refreshing class. Achieve a state of physical and mental relaxation while strengthening the cardiovascular and immune systems through this Yang Style (long version) of Tai Chi. 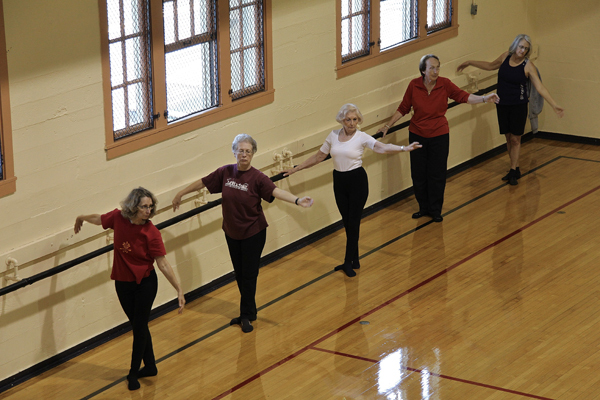 Tai Chi: MBB is a research-based balance training regimen designed for older adults and people with balance disorders. Tai Chi movements focus on supporting health by addressing common, but potentially debilitating, functional impairments or deficits. In a supportive, non-threatening environment, this class uses a multi-disciplinary approach to improve muscle strength, agility, flexibility and balance, and to address most of the symptoms of Parkinson’s – from posture and movement to voice and facial expression. Fee-based class. Call the NECC Front desk at 503-284-3377 for more information. This class is informed by the Arthritis Foundation curriculum, and focuses on range of motion rather than aerobics. This class is great for those challenged by Arthritis, Parkinson’s, Lupus, and stroke recovery, among others. 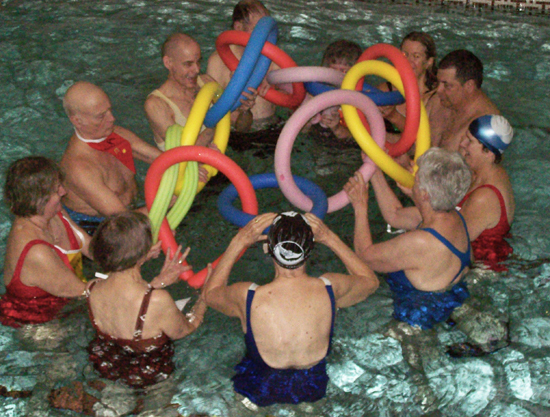 This class is similar to the Water Workout class, but performed at a lower intensity. This class emphasizes maintaining and improving range of motion, and also incorporates elements from the Joints In Motion class. NECC provides noodles, hand buoys, and optional free weights. An aerobics class in the shallow water designed to get heart rates up, and improve flexibility & core strength while having fun. Participants utilize buoys, free weights, noodles, and sometimes kick boards and iron weights (all provided by NECC). Various levels offered at different times of the day. Meet other Active Older Adults in the NECC Lobby for coffee and conversation! Held the first Wednesday of every month from 9:30-10:30am.